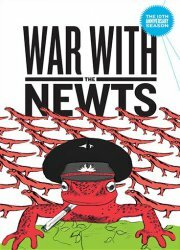 War With the Newts is a theatrical adaptation of the satirical novel by Karel Čapek, who is known for popularizing the word "robot" through his play R.U.R. It was adapted by Professor Natsu Onoda Power and performed at Georgetown University. 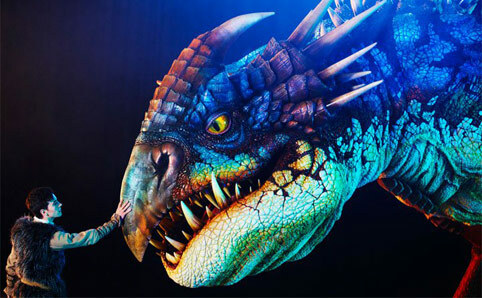 The play consists of a series of vignettes depicting the events surrounding the uplifting of a species of hyper-intelligent newts. When they are first discovered, they are seen as an able-bodied workforce, but gradually they begin to see how they are being enslaved by humans, and rise up in revolution. The newts were portrayed by actors wearing kigurumi newt suits and fingerless arm-gloves, and they frequently stole the show from the human actors. I had the opportunity to see the play in its world premiere run at Georgetown University. 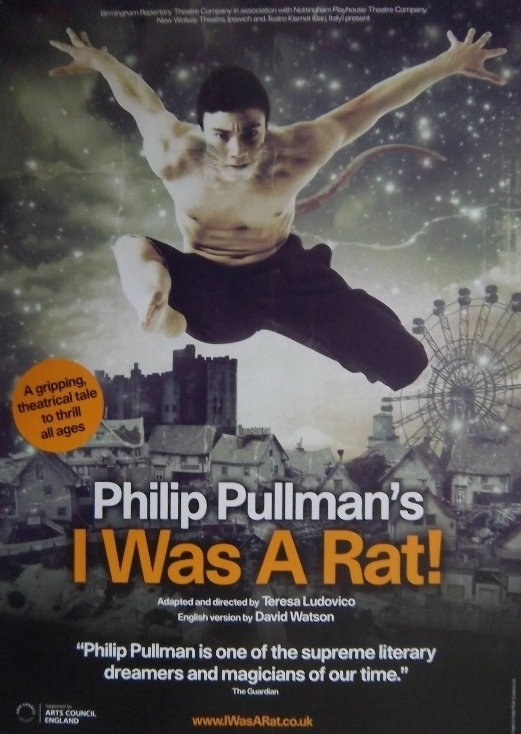 For a new play, this had a remarkable level of polish, while at the same time being eclectic, energetic and engaging. Jeff Goode is the creator of American Dragon: Jake Long for the Disney Channel. Previous to that he was well-known as a playwright, responsible for such works as The Eight: Reindeer Monologues. He has also been a Guest of Honor at several furry fandom conventions. Combine all those facts and you might just have an explanation for his latest work for the stage, Fursona Non Grata. Here’s what the press release says: “A young woman raised furry brings her mundane fiancé home for the holidays to meet her family for the first time. Fur-larity ensues. Screenwriter and playwright Jeff Goode, the creator of Disney’s American Dragon: Jake Long and the author of The Eight: Reindeer Monologues is developing a new stage play for SkyPilot Theatre Company in Los Angeles, inspired in part by his misadventures as a GoH at Califur, Rocket City Furmeet and Oklacon. The original comedy Fursona Non Grata will have its first public reading on: Sunday, June 17 @ 3:00 p.m. at the Sherry Theater, 11052 Magnolia Blvd, North Hollywood, CA. Admission is Free! This week, stage plays with anthropomorphic animals are being performed on both sides of the Atlantic. An adaptation of Rudyard Kipling's The Jungle Book is being presented at the Lyric Theatre in Belfast, Ireland. The classic tale of man-cub Mowgli's adventures amongst the denizens of the jungle is brought to life with actors in animal roles wearing minimalist animal costumes. Meanwhile, in Decatur, Georgia, USA, the PushPush Theatre company is presenting The Squirrel Trap. 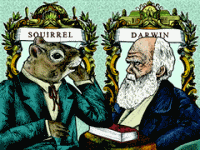 In this play, office drudge Gil finds his attic is inhabited by a talking squirrel – who readily dispenses advice on personal relationships. The role is played by a bearded actor in ordinary clothes with the addition of a large bushy tail. The Ursa Major Awards - an annual award given for work in the anthropomorphic fandoms - has opened for final voting to decide the 2007 winners! Those up to grab the award include mass media and fandom regulars fighting side by side. Those to look out for include Ratatouille, Doctor Who, Blotch, Lackadaisy, Newshounds and Ozy & Millie. Steven Ross Gerber, the legendary Marvel comic writer best known for creating Howard the Duck and more recently Stewart the Rat, has passed away in hospital while awaiting a transplant for idiopathic pulmonary fibrosis. Sources say he continued to work until he died on February 10th, 2008 - aged 60.